The collections at this immense gallery rival those of any art museum in the world, displaying milestones of western art from the Middle Ages through to the 20th century, including Italian Renaissance works, Dutch Masters, French Impressionists, and all ages of American art. John Russell Pope designed the harmonious Neo-Classical West Building in 1941. 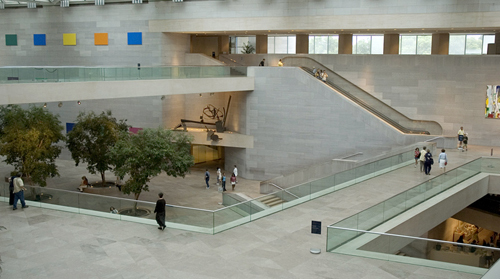 The newer East Building is the work of architect IM Pei and it is often considered a work of art in itself. 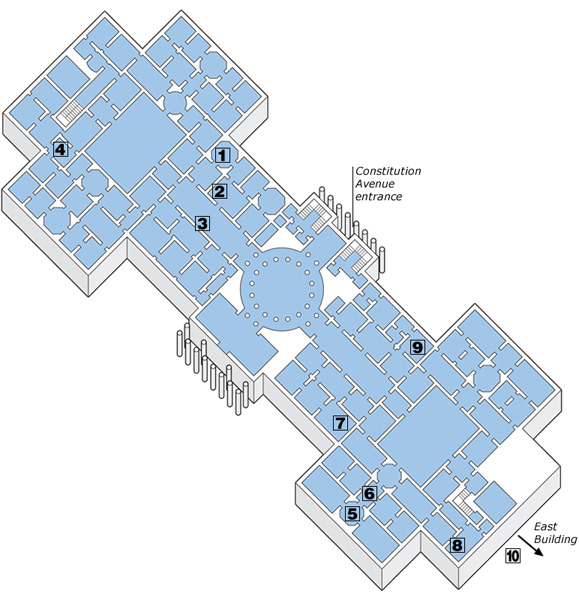 The first floor contains European paintings and sculpture, and American art. The ground floor displays works on paper, sculpture, decorative arts, and temporary exhibits. The location of works changes periodically. An underground concourse leads to the East Building. The Cascade Café, on the concourse between the West and East Buildings, has an espresso bar with gelato, sandwiches, and other treats. The East Garden Court on the main floor of the West Building is a wonderful place to relax, away from the constant stream of tourists. The careful modeling of lustrous flesh against juniper foliage make this Leonardo da Vinci canvas of 1474, his only one in the US, a lively but composed work. 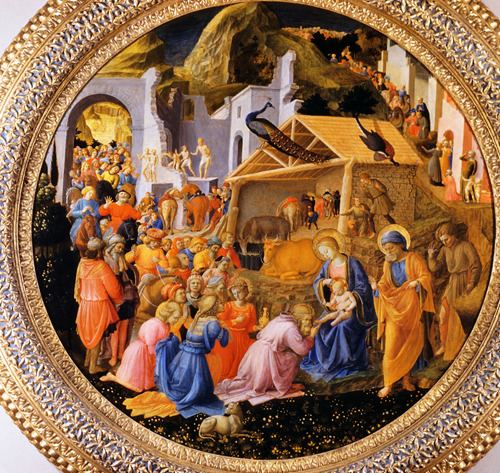 This festive view of the Magi at Christ’s birthplace was painted in tempura on a circular panel by Fra Angelico and Filippo Lippi in about 1445. 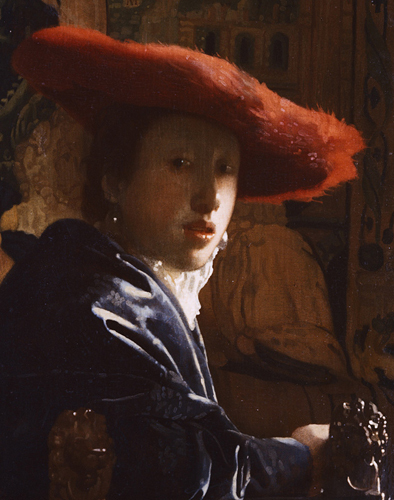 This 1665 portrait shows off Johannes Vermeer’s striking use of color: yellow highlights in the blue robe, purple under the hat, turquoise in the eyes. The luminosity is enhanced by the smooth panel base. Unusually, the Madonna in Raphael’s 1510 work is shown seated on the ground. The composition is serene, but it shows Christ accepting the cross from St John the Baptist, a precursor of events to come. The sensational subject matter, muscular painting, and expressions of dread and anxiety made this John Singleton Copley painting shocking when it was first displayed in 1778. 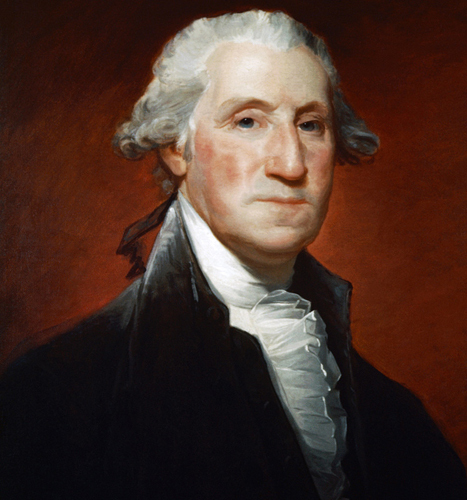 This is the only complete set of Gilbert Stuart’s paintings of the first five presidents (1817–21), including George Washington, still in existence. Sadly another set was partially destroyed by fire in 1851 at the Library of Congress. Light and shade, the perception of calm, and clarity of detail create an absorbing and soothing landscape. In this 1816 work John Constable demonstrates his love of the English countryside. This 1862 work by James McNeill Whistler is a precursor of Modernism, emphasizing abstract forms over the sensuous recreation of the model, the artist’s mistress, Joanna Heffernan. The human figures are part of nature here, fully integrated with the landscape. Curators believe this 1875 Claude Monet portrait was painted in a single session. This Jackson Pollock composition is a monument of America’s emergence as a center of art innovation (1950).